Discovery 2 TD5 – BAS Remaps, Powering the Landrover tuning world! 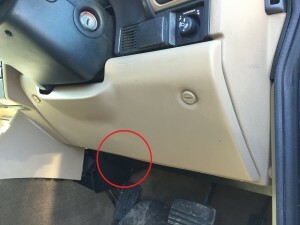 The OBD-II connector is located at the lower left edge of the drivers side dash panel above the left pedal. 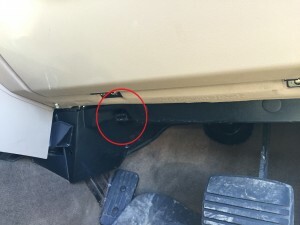 When connecting OBD tools to the connector be sure not to push to hard as the connector can back out of its socket holder. 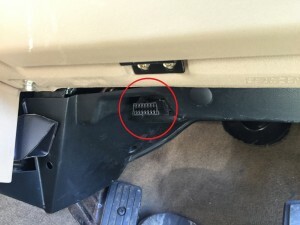 The picture shown is a RHD Discovery 2 car, the LHD cars OBD-II port location may vary slightly from the picture shown.